I’ve created a simple but (I hope) useful table to describe Skype for Business and Microsoft Teams different Enterprise Voice scenarios at a glance. I’m using Hybrid to use Cloud Voicemail. Callers are able to leave voicemail messages but has the integration with Skype for Business clients been totally abandonned by Microsoft ? Is it something you have already implemented ? 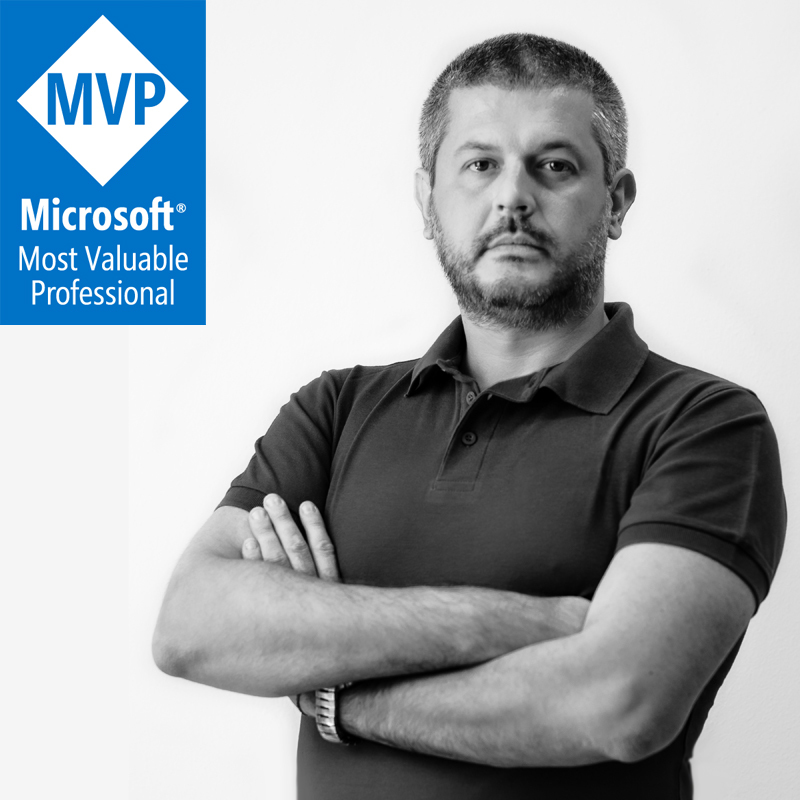 Could you please tell me what I should expect on an integration point of view between Cloud Voicemail and Skype for Business clients ? 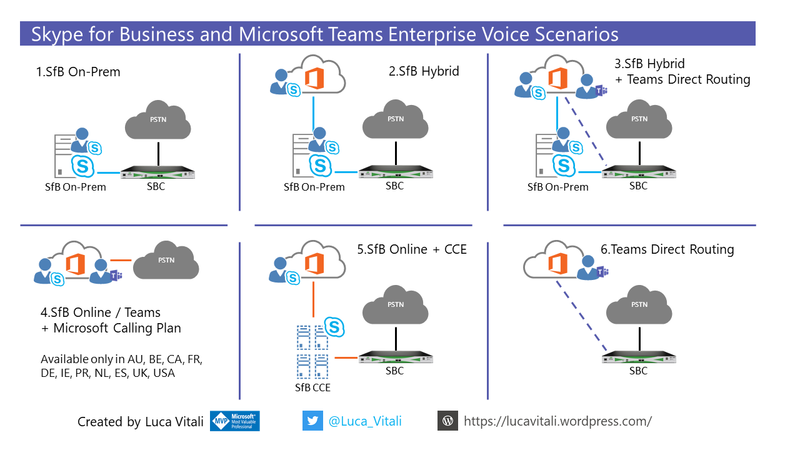 SfB client is not abandoned by MS. We have many SfB Hybrid that use Exchange Online and Cloud VoiceMail. Hope that could help you. Thank you very much. I’m afraid I already broke my tooth on this page. Is everything working correctly from your standpoint ? You can call your voicemail + Get an overview of your voicemail as it used to be with EUM ? We can receive voicemail successfuly but the latest voicemail we can see are from Exchange on-prem. here in Italy the Voice Mail is very rarely used, so our customers use it seldom. I’ve no open issue on this argument at this moment. I’m sorry but I have no more information than the Doc page above. All the enterprise voice options drawn up like this is great, thanks for your time an effort in providing this to the community. As are most companies we are in a transitional phase. Currently using SFB in Hybrid mode Option 2 seems the most likely for us at the moment. It will allow us to develop to option 3 and then eventually to option 6 once Teams has matured and we’ve allowed the necessary time for adoption and training. My question with option 2 is do we need to port DID numbers for the SFBO users? The way I’ve read the documentation I think not but I wanted clarity if you can? You are right, Option 2 is the most wide spread in Companies with SfB used as PBX Replacement. Move to 3 is very easy and with no issue. Move to 6 is quite easy for little customers that do not arrive from SfB, for green field deployment where there isn’t comparison between SfB and Teams. Moving from 3 to 6 need time for users to start to appreciate Teams and for Teams to mature in Enterprise Voice features. About your question: maybe I do not understand correctly your question (if so, please let me know), but generally speaking, when you start to move users from SfB On-Prem to SfB Online or to Teams Direct Routing, you always keep the DID number of the user. Let me know if this is clear for you or not.